October 23, 1931: “Frances Gayne” performed at the Eastern Star State Grand Chapter Banquet in Coronado, California. “Frances Gayne” was a name the family was trying out for Judy, who at this point usually went by her birth name of Frances Gumm. 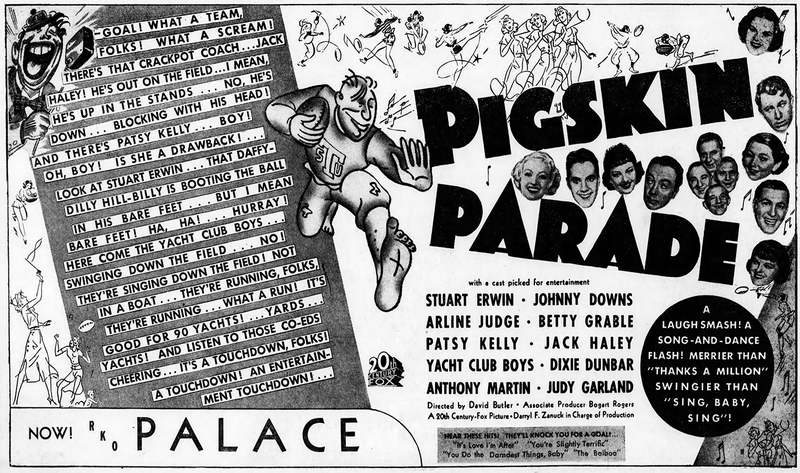 October 23, 1936: Pigskin Parade premiered. 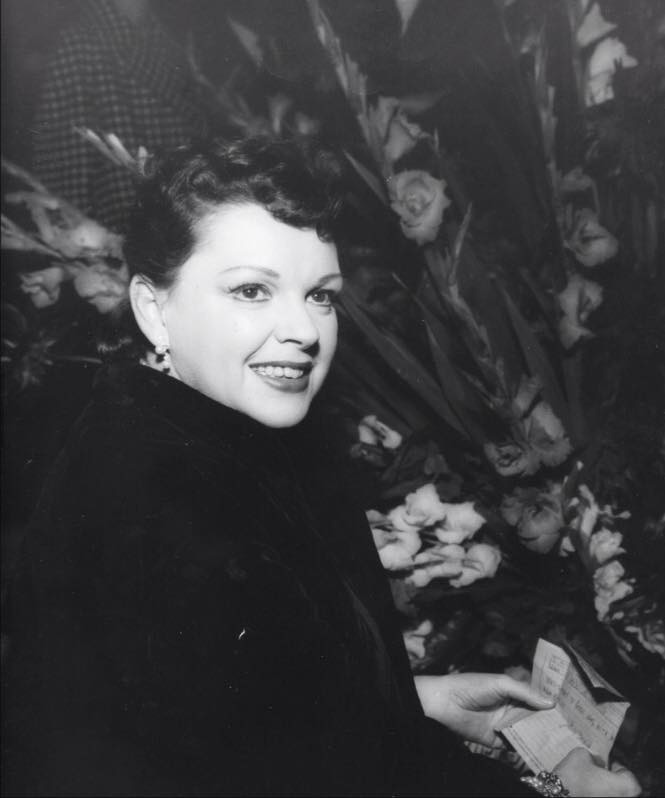 It was Judy’s very first feature film appearance and her only loan out to another studio (20th Century Fox) during her years at MGM. It grossed over $900,000. 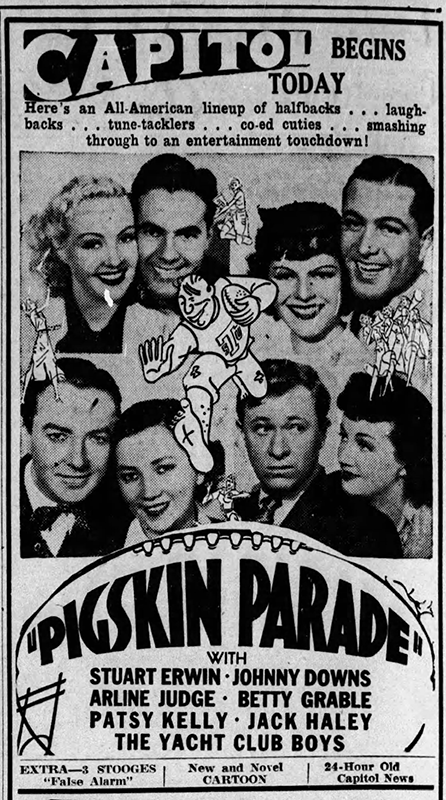 The film was a hit with audiences and the critics liked it as well. To date, it’s still a fun and enjoyable film, typical of the comedies of that time. 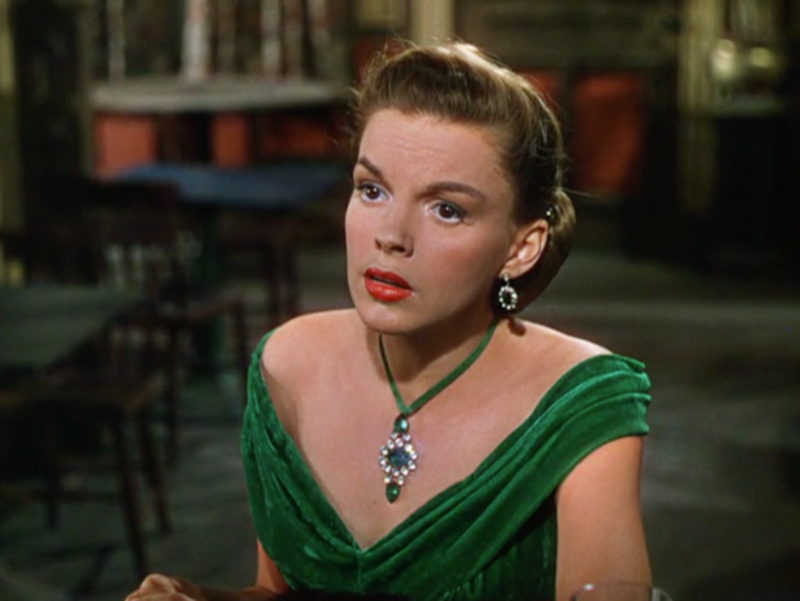 The review above noted: Judy Garland, youngster who sings in a thoroughly grown-up manner, is the other big surprise in this unusual story. Her work as “Sairy Dodd” will start her on a big movie future without doubt. She’s a natural if there ever was one, and her infectious charm can’t fail to please any type of audience. 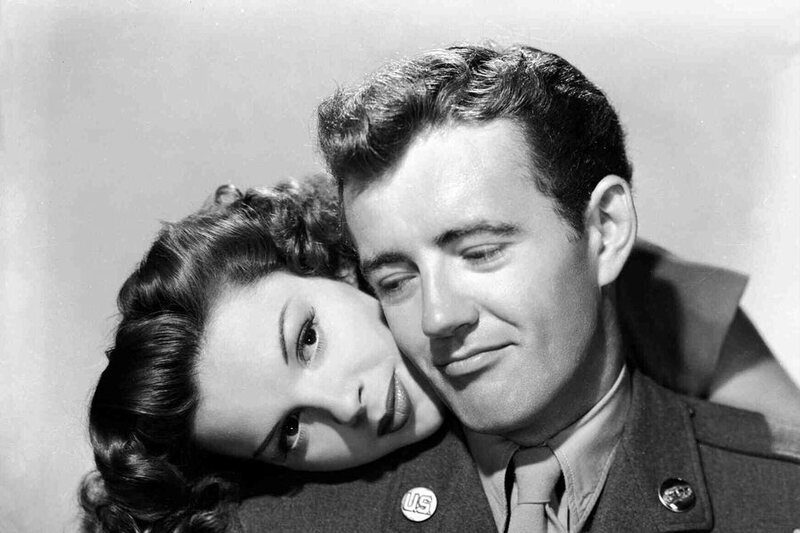 Judy was given two solos, “The Texas Tornado” (click her to watch) and “It’s Love I’m After” plus the bulk of the production number “The Balboa” (see the video below). She pre-recorded “Hold That Bulldog” but it was cut (see the October 21 entry). 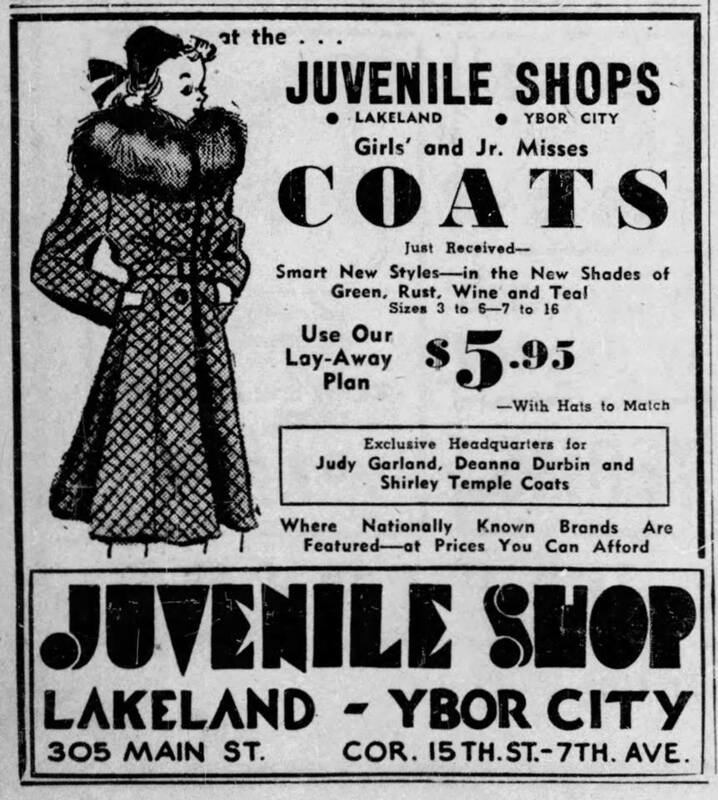 October 23, 1938: Judy’s the glamorous teen! Here’s a fun ad (top left above) using an MGM provided publicity photo to sell furs (followed by two more photos of Judy in the same fur coat), plus another ad that promotes itself as the headquarters for Judy Garland, Deanna Durbin, and Shirley Temple coats (in that order). 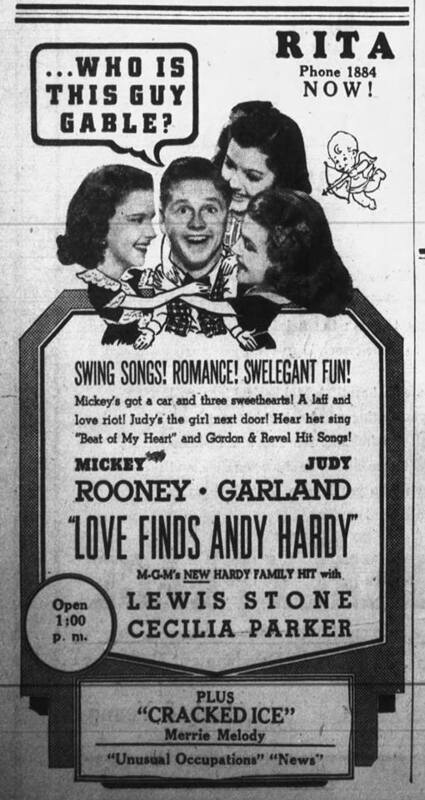 In the late 1930s and into the early 40s, MGM promoted Judy as a trendsetter in teen fashion, especially after she and Mickey Rooney had become the top teen duo in the nation. 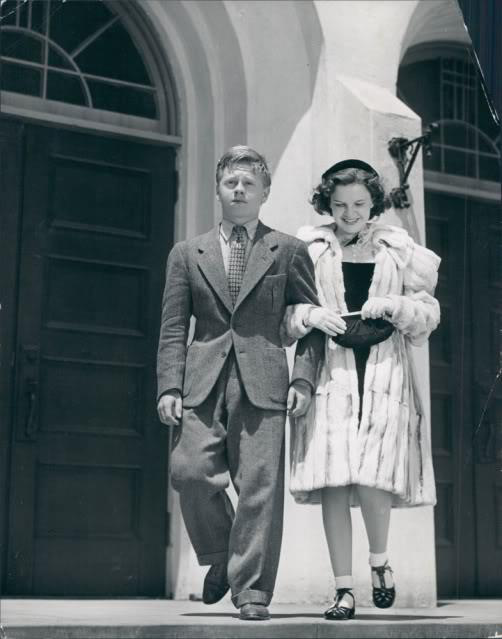 The photos of Judy in the fur coat plus the two of her with Mickey Rooney were actually taken a year before in the fall of 1937. 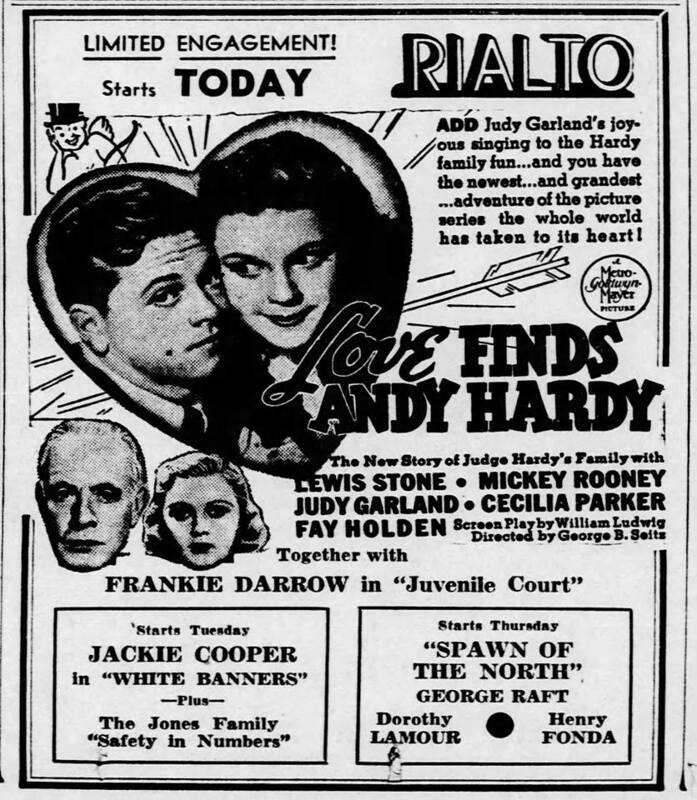 Two of Judy’s films were playing around the country at this time, the recently released Listen, Darling, and Love Finds Andy Hardy. 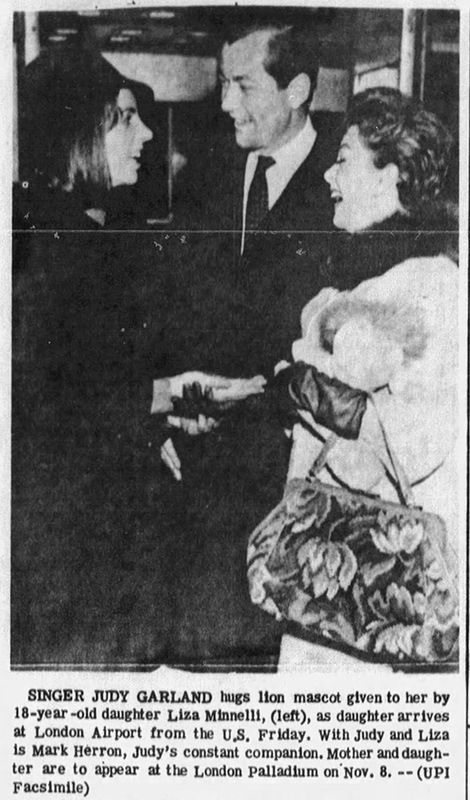 October 23, 1942: This column by Helen Barrett reported on the recent premiere of For Me And My Gal and the “community sing” held on Broadway at Times Square in New York City, just as had been done during World War I. Also included above is the ad for the film and another report, uncredited, about the event. 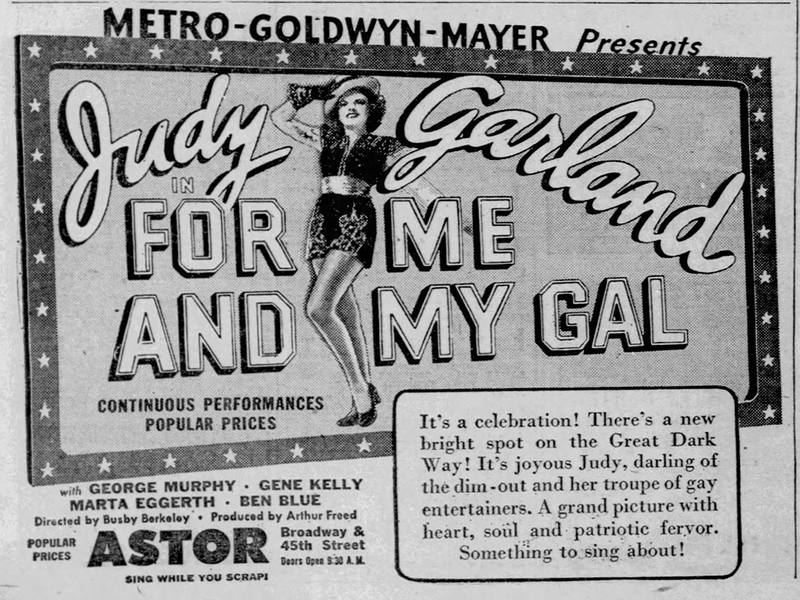 Check out The Judy Room’s Filmography Pages on “For Me And My Gal” here. 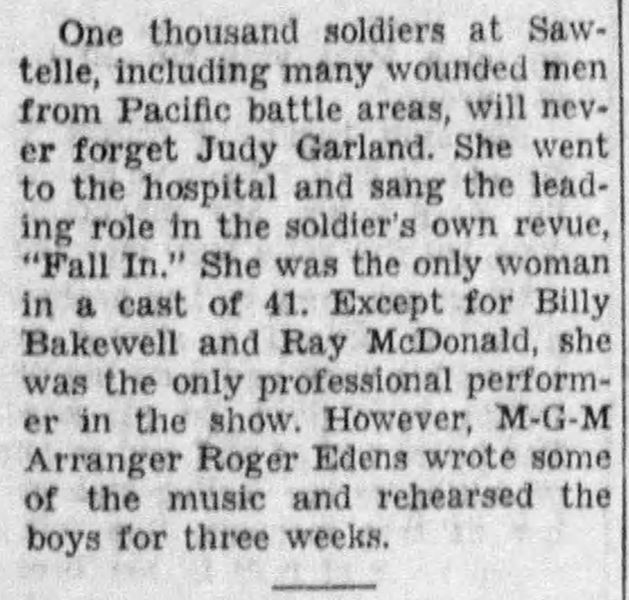 October 23, 1942: Columnist Harrison Carroll reported on Judy, accompanied by Roger Edens, taking part in a “soldier’s revue” titled “Fall In” at the military hospital in the Sawtelle district of Los Angeles. 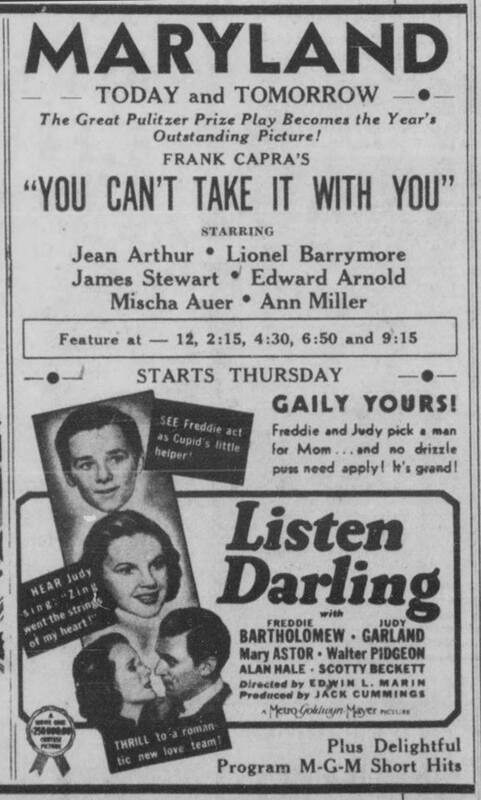 Per Carroll, Roger Edens wrote some of the music and “rehearsed the boys for three weeks.” It’s unclear exactly when this happened although it most likely took place between the end of filming on For Me And My Gal and the beginning of filming on Presenting Lily Mars which would have been late July or early August 1942. Judy and her sisters had performed for veterans at the same military hospital on January 23, 1929. October 23, 1944: Filming on The Clock continued with scenes shot on the “Interior Marriage Chapel” set. 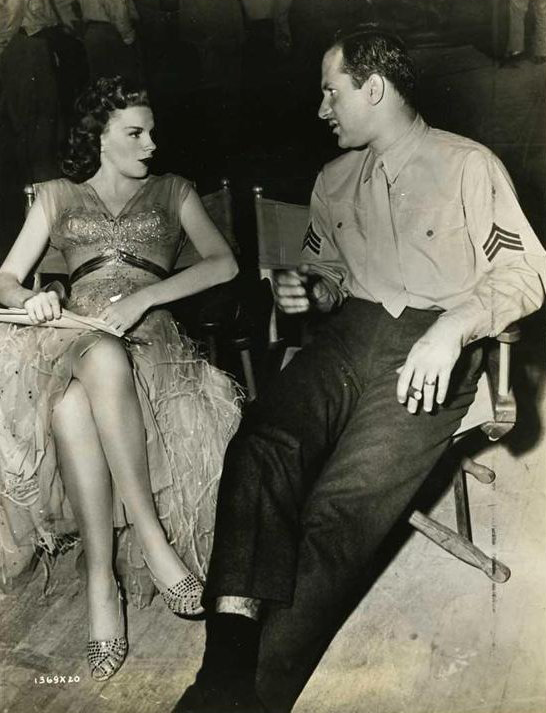 Time called: 10 a.m.; time dismissed: 6:10 p.m.
October 23, 1945: Filming on Till The Clouds Roll By continued on the “Interior Stairs” set (the “Who?” number). Time called: 10 a.m.; dismissed: 5:50 p.m.
Photo: Keenan Wynn visits Judy on the “Who?” set. Photo provided by Kim Lundgreen. Thanks, Kim! October 23, 1947: The first of three days that Judy was off work on Easter Parade due to being sick. 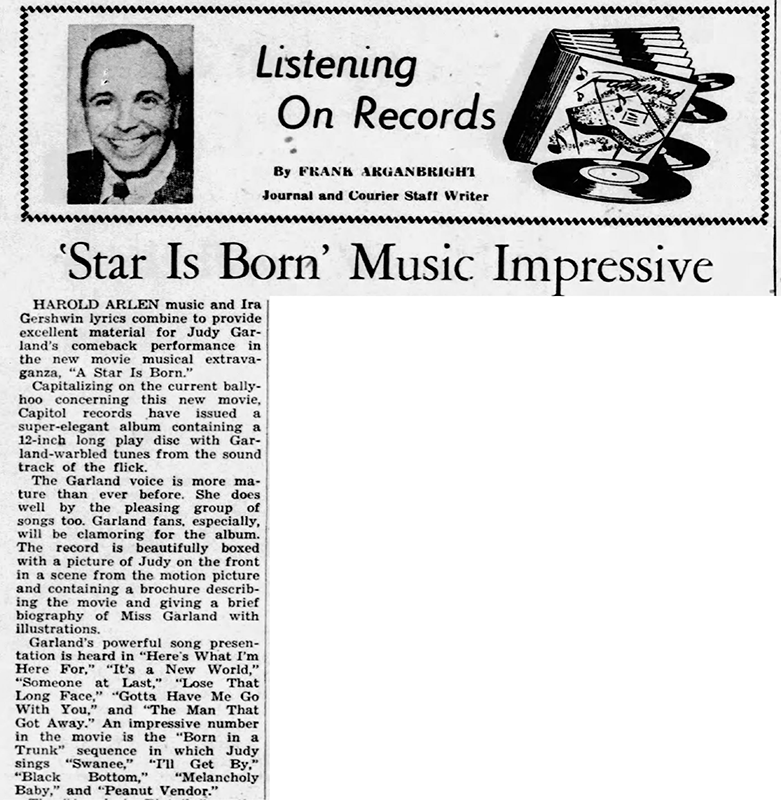 October 23, 1954: Record reviewer Frank Agranbright gave the soundtrack album to A Star Is Born a good review, but curiously listed it as a Capitol Records release when in fact it was a Columbia Records release. Oops! 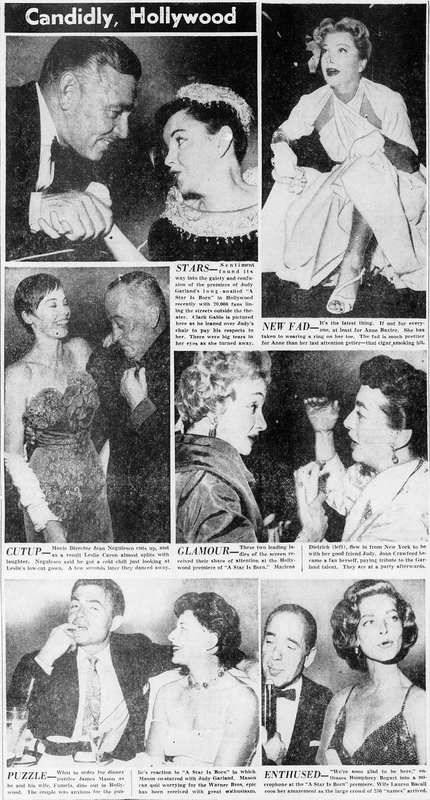 Also published on this date, this nice collage of photos from the opening night of the film on September 29, 1954. Check out The Judy Garland Online Discography’s pages on the A Star Is Born soundtrack here. October 23, 1960: Judy was in concert at the Birmingham Odeon Theater in Birmingham, England. 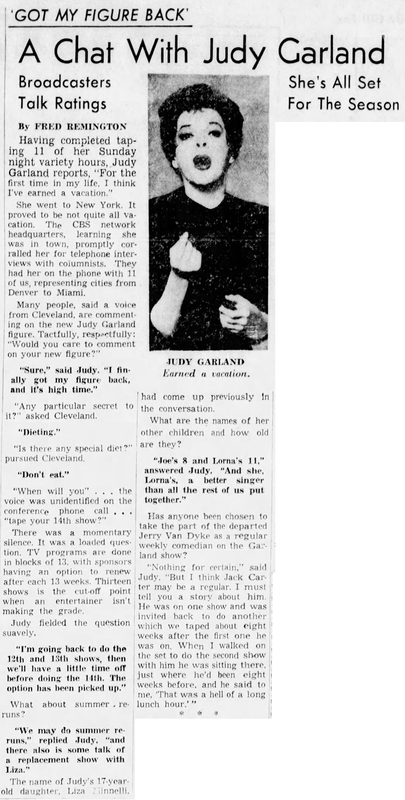 October 23, 1963: Two articles about Judy. One is a chat with Judy in which she discussed (via a conference call with 11 reporters!) the series, her children, and her newly svelte figure. 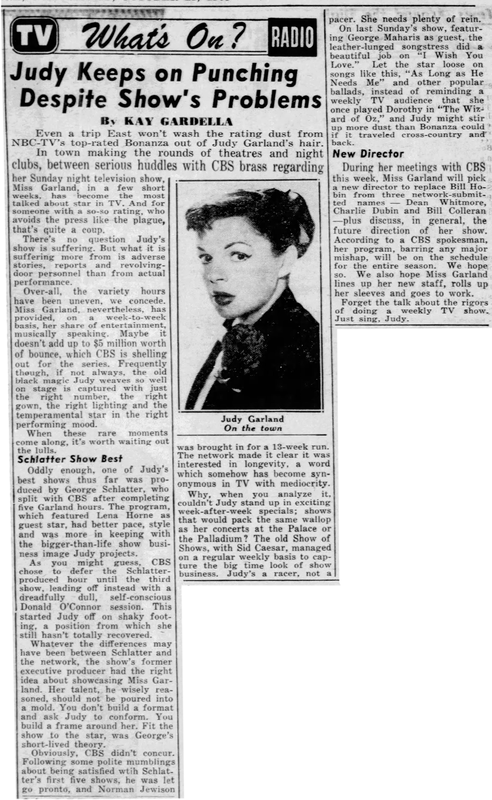 The second article focuses on the series and the issues it was having with the format and the difficulties in how to best present Judy to the public on a weekly basis. 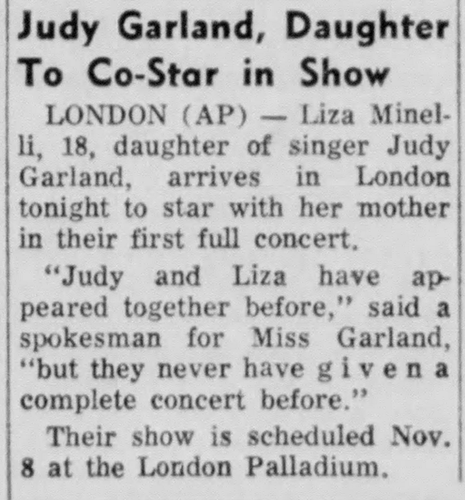 October 23, 1964: Liza arrived in London at the same time that the news of her joining Judy on stage at the London Palladium was hitting newspapers around the English speaking world. Second video lists No LOnger Available.